Hotel Royal Paris is a wonderful piece of property located in Chennai and situated close to a number of important landmarks. The rooms are very spacious and have been painted in neutral colors. The interior decor and design are quite minimalist in nature. There are quite large windows in the room which help the guests allow a lot of fresh air, bright sunlight and some amazing views. 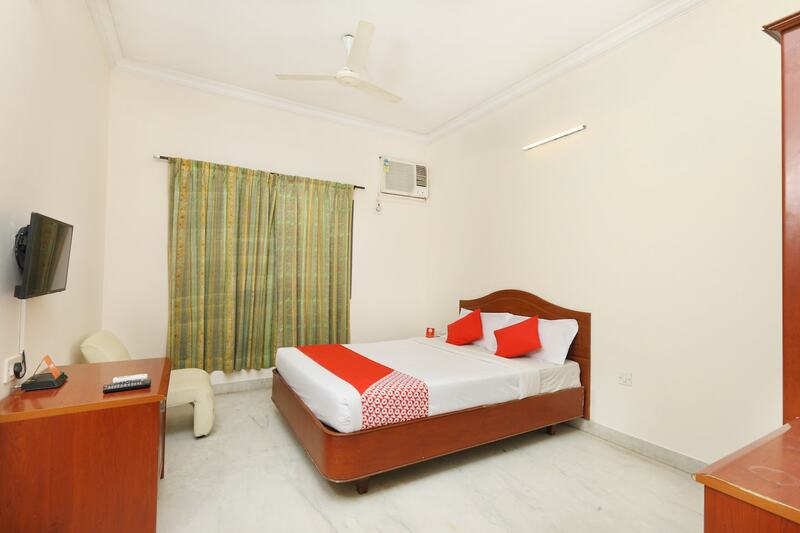 All the rooms are well-furnished and good use of artificial lights throughout makes the rooms well-lit. The extra facilities provided by the hotel are free Wifi, CCTV cameras, card payment in all forms, laundry provisions, parking provisions, and an uninterrupted power backup supply. There are a common dining area and a common lounging area which can also be used by the guests to relax and rejuvenate after a long day at work.